The 1956-1957 Chicago Black Hawks (two words until 1986 when it became Blackhawks after a staffer discovered the team name was originally recorded as one word) were a model of hockey futility. Having finished last in the NHL in eight of the previous 10 seasons, and three in a row heading into the 56-57 season, the Black Hawks, armed with a new head coach in Tommy Ivan, once again finished dead last with a record of 16-39-15. It was a season to forget forever. And forget we did. Nary do we hear much about the 1950s Blackhawks when the long and (somewhat) storied history of the franchise is ballyhooed about. Well, that changed last week when the Blackhawks unveiled the sweaters they’ll wear during the 2015 Winter Classic against the Capitals in Washington, D.C on January 1, 2015. As Brandon Saad and eerie looking mannequins modeled the white jersey for the first time on Monday at the brand new Blackhawks Store on Chicago’s Magnificent Mile, President and CEO John McDonough explained the inspiration behind the new threads. Hmm. The Blackhawks wore jerseys with a “historic feel” in the 2009 Winter Classic, as they paid homage to the teams of the 30s, which won two Stanley Cups. So, Mr. President, the Blackhawks have in fact done something like it before. The whole thing also begs the question: Why would throwing it back to perhaps the darkest period in Blackhawks history be exactly what they were looking for? It just doesn’t make sense from a historical perspective. 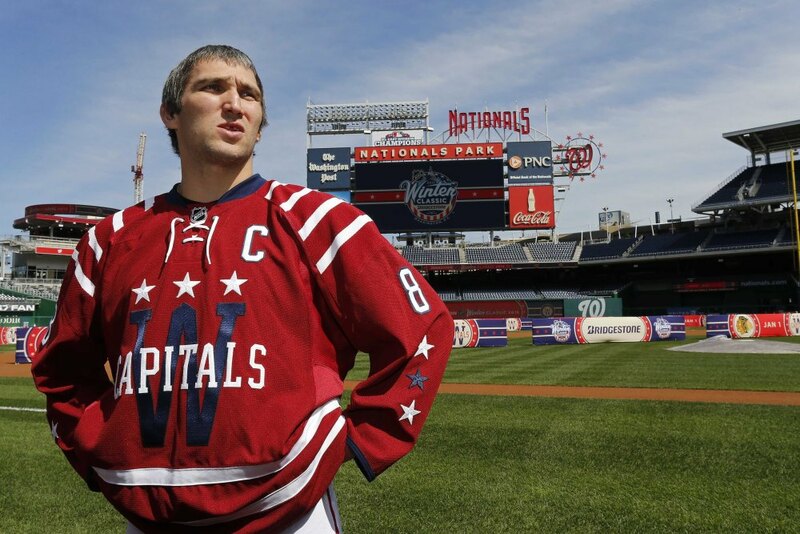 The Capitals did something really cool with their Winter Classic jerseys. They took everything that had ever been done to a Capitals sweater and threw it all off the drawing board. The result was something completely unique and new. They took an opportunity and ran with it, and the Blackhawks would have been smart to do the same. The Blackhawks have the iconic crest logo in all its various forms. They have the under appreciated secondary logo featuring the crossed axes overlaying the Chicago “C.” They have rich fonts and classic colors. Not creating something completely retro, yet new, using elements from this diverse array of marks seems like a remarkable opportunity lost. What we got was a tribute to one of the worst teams in Blackhawks history. It just doesn’t add up. All that said, it’s hard not to like the secondary logo on the elbows, rather than the traditional shoulder placement. It’s a subtle element change that you rarely see on a hockey sweater. It’s the one thing about the ‘57 sweater that almost makes this bizarre tribute worth it. McDonough said they wanted something historic, but the Black Hawks who originally wore these jerseys were historic only in that they were laughably awful.